One of the most asked questions is "How much can you make selling Avon?" Another common question is "Is selling Avon worth it?" I'm here to tell you that you can make good money selling Avon. Will it happen overnight? Absolutely not! Can you achieve your dreams with by becoming an Avon rep? YES, Absolutely! When you become an Avon representative, you have three ways to earn money by selling Avon face-to-face, selling Avon online and sharing the Avon opportunity. Selling Avon from your home city is where I would suggest you start. By selling Avon face-to-face you can show your prospective customers the products, give out samples, and talk to them personally about skincare, makeup and the other products. Start telling your family, friends, co-workers, and neighbors that you just started your own Avon business. Next build a "Who Do You Know" list of at least 50 people. You will be amazed at how many people you actually know. This can be anyone you come in contact with. Think about your beautician, milkman, postman, banker, grocery store clerks, people at the gym, school teachers, children's parents, church friends and doctor or dentist. You get the idea? The list can go on and on. Once you start getting orders, take the next step by getting referrals from these customers. Offer them a discount if they will pass your Avon brochure to a friend and they order. Referrals can be great! Leaving books at businesses can result in some huge orders. Women who work sometimes don't have time to shop. They love great personal service. Finally, a couple more ways to super-size your business is to have vendor events and fundraisers. These are so much fun and can boost your sales to way over $1000 per campaign. Give them a try! View the Avon Earnings Chart below for the percentage of earnings you receive for your sales. You will start earning on the first dollar you sell. You also will earn a fixed 20% at any sales level on fixed earning fashion and home products (such as clothing, shoes etc. -- anything that has a diamond in front of the description). When you reach President's Club (selling $10,000 in one year) you will earn 40% on sales of Avon products and 25% on fixed earning products. This should be your goal as it will really boost your earnings. The second chart below shows you the earnings you will receive when you achieve President's club level and above. Selling online today has exploded! 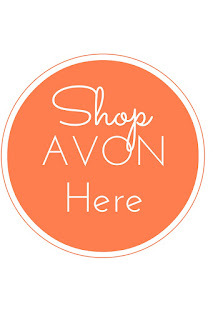 With your own eStore you can sell Avon online to people all over the USA. Do you have friends or family in another state? Are you on Facebook, Twitter, Instagram, Pinterest, Google + or LinkedIn? Awesome! Share your grand opening of your Avon eStore to your friends and followers. Avon makes this easy with an email you can send out. The Avon Social Media Center has great posts that you can share easily. What is even better is that Avon has share buttons on the bottom of each product on your website! When you share these products, the link takes your friends to YOUR website where they can purchase. Avon will take their payments online and ship the orders right to their home. No work for you! The earnings you earn on online Avon sales is not different from traditional sales. You will earn the same amount of commission on face-to-face sales and online store sales. Refer the to Avon Earnings Chart 2017 above for what you will earn from Avon. Truly the Avon Sale Leadership Program is where you can make the most money. You will want to start this as soon as you are comfortable about spreading the word about selling Avon. Avon rewards you by adding new recruits to your team. You will also receive a percentage of your unit's sales. These checks or direct deposits will be given every campaign or two-week period. As I mentioned above, the sky is really the limit with how much you can make with Avon leadership. 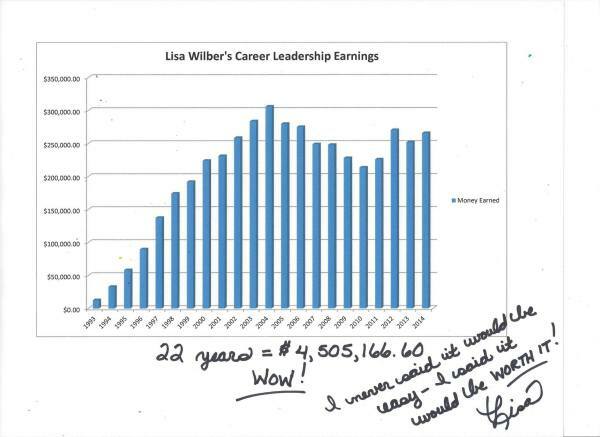 Take a look at how much Lisa Wilber, Avon Platinum Executive Leader, has made with Avon over a span of 22 years. WOW she earned over 4 million dollars with Avon! This chart's current year is 2014 so who knows what her gross earnings is today! Get to know a little about Lisa by listening to this youtube video of her presentation at the Avon 130th Anniversary Rally in Sacramento, California on April 27, 2016. She is amazing! She speaks from the heart and with great humor. How much can you make selling Avon? Lisa's check for a 2-week period from her leadership team was over $15,000. YES! So when someone asks, "How much can you make selling Avon?" we know that really the sky is the limit. Working hard and consistently will get you to the top too. Are You Ready to Sell Avon? Complete Online Agreement and choose from 3 kits, starting at only $25.